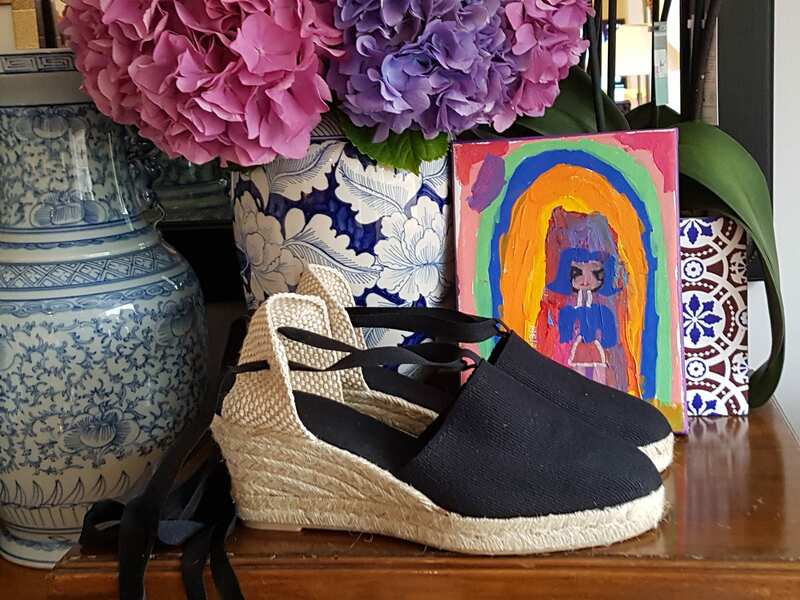 Very comfortable lace-up espadrille wedges in BLACK canvas, with ribbons in the same color and 7 cm heels (2.76 inches). 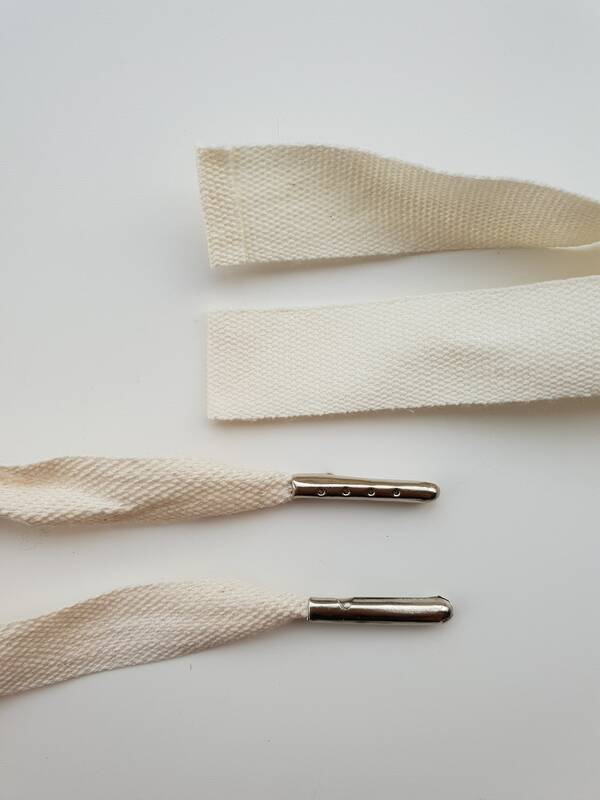 In order to prevent the fraying of the ribbons, you can add metal aglets (shoelace tips) to your order, in a choice of 3 different colors: golden, silver or black. 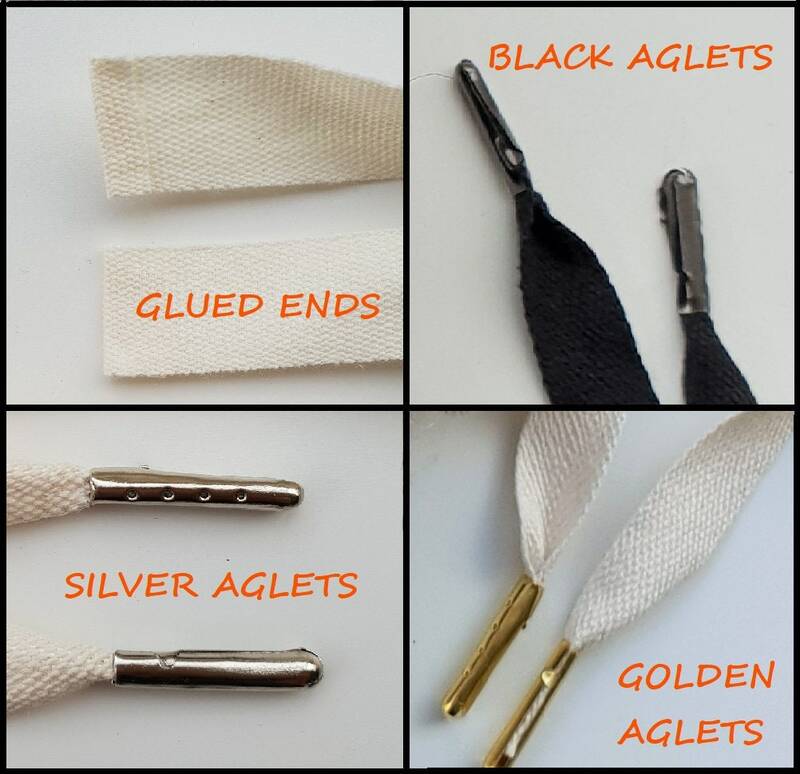 Other option, if you dont like aglets, is glued edges, what makes a quite nice closing (see last pic for details). 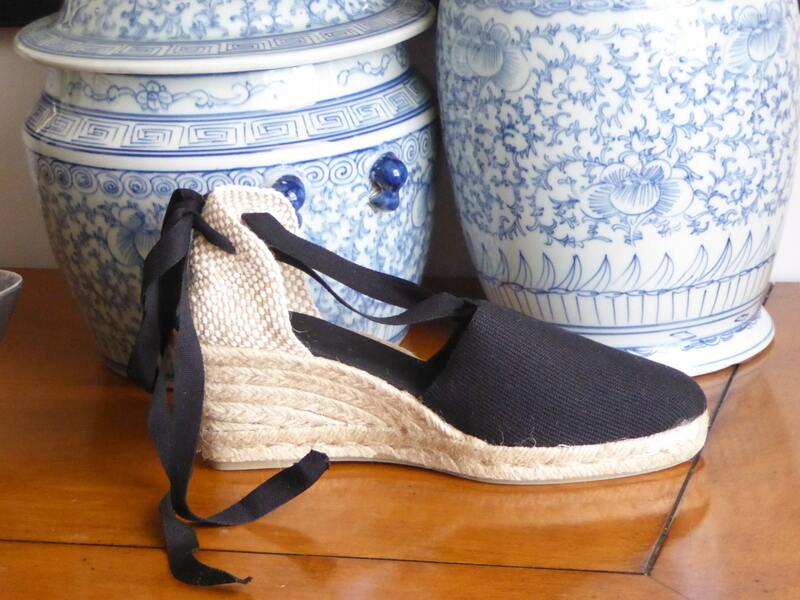 Also in our shop, the same shoes available in ivory, white or navy blue. 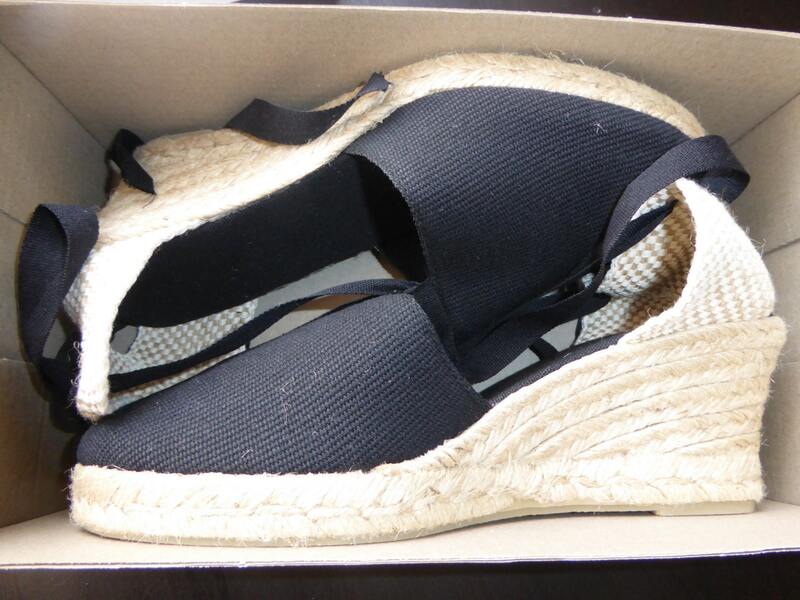 I have hunted high and low for a pair of espadrilles like this, just hanging in there until my size becomes available. The great customer service I received when having to return an item that unfortunately did not fit, an error on my part I might add, was exceptional. 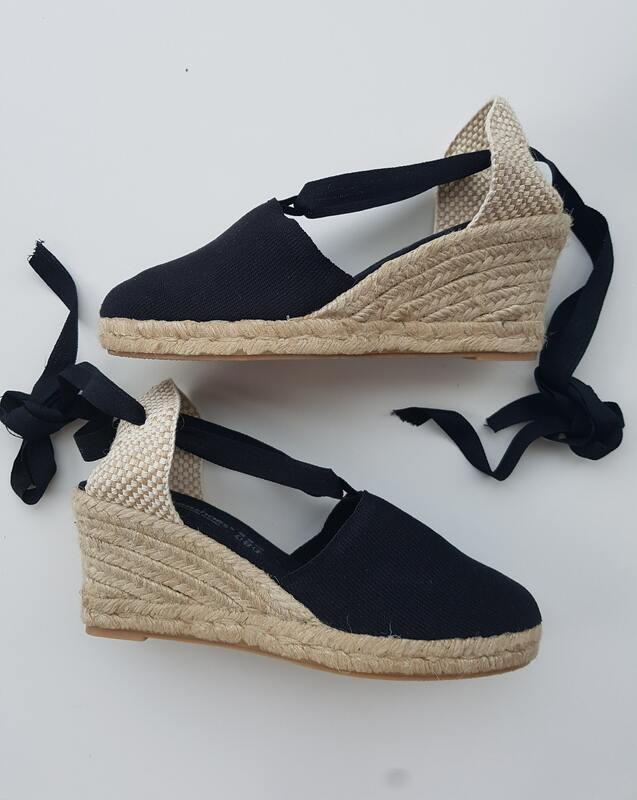 If you are looking to buy for yourself or as a gift, I would highly recommend buying from mumishoes. 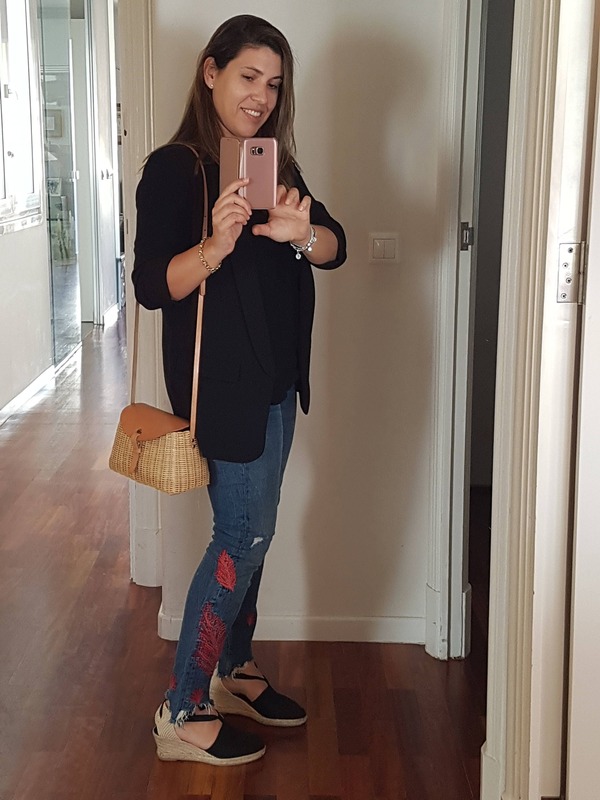 Very good pair or low heeled shoes. 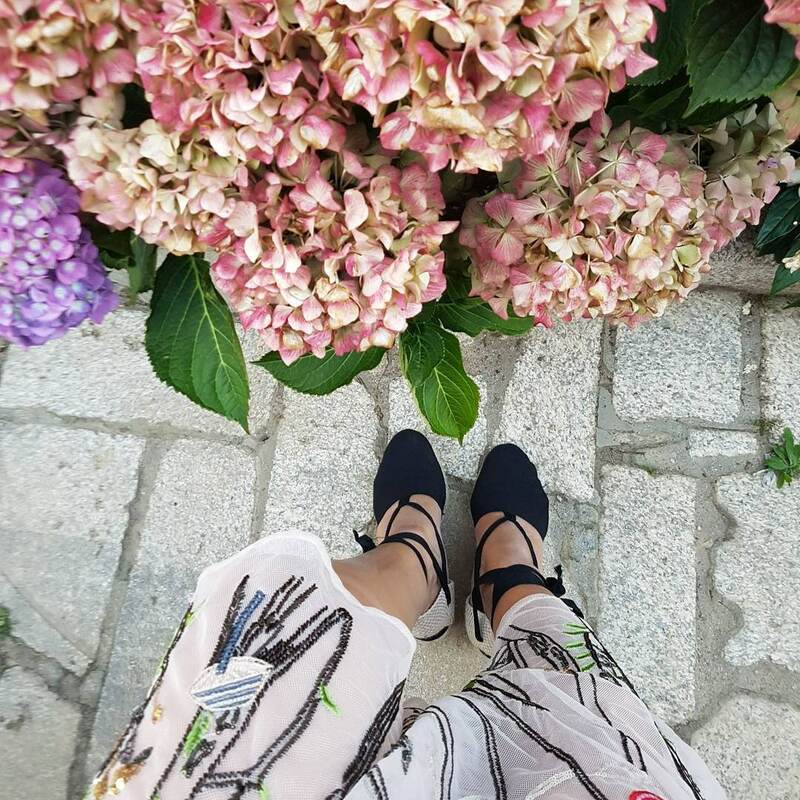 Very summery, classy and comfortable. Se merecen un 10 !!! Volveré a comprar otra vez. Gracias y hasta pronto !! 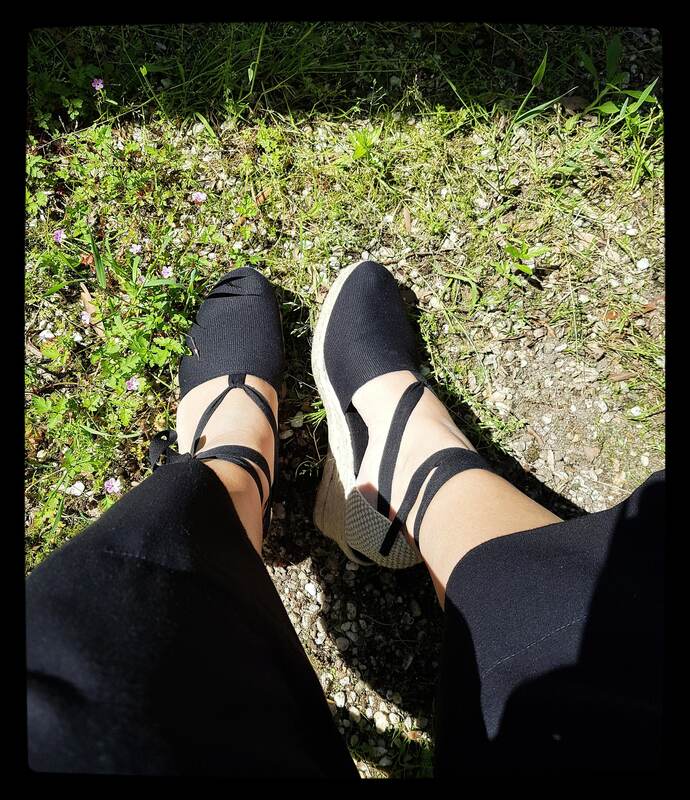 Beautiful shoes and very comfortable!